Ohhhh yaaaa! Sooo good. I love Kuma’s Corner. Along with the best burgers in Chicago & super friendly service, which totally suprised me, their calamari is great. 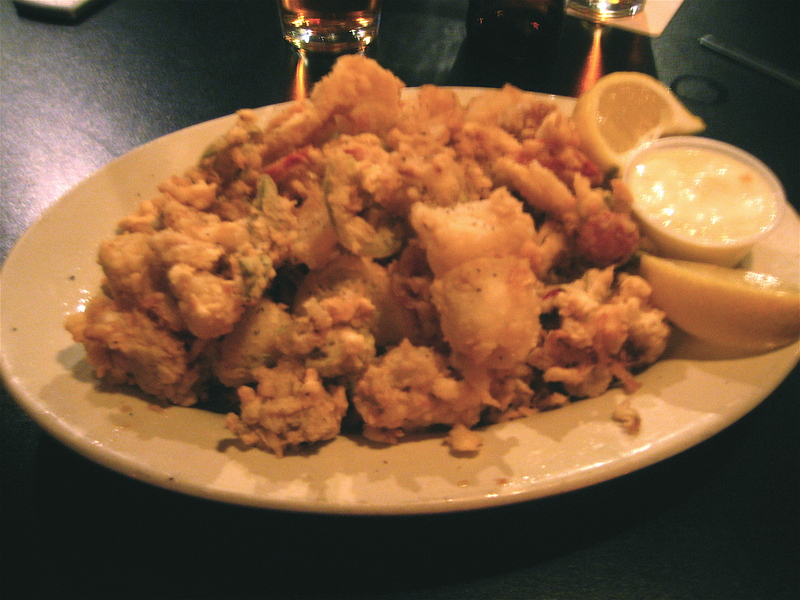 Along with the fried calamari & fried cherry peppers, the appetizer also has thinly sliced fried lemons. Nice & tart to cut the heaviness of the friedness(if that is a word!) We shouldn’t even start talking about the bbq pork fries! I didn’t notice the fried lemons! And I will definitely be back to try the bbq pork fries!